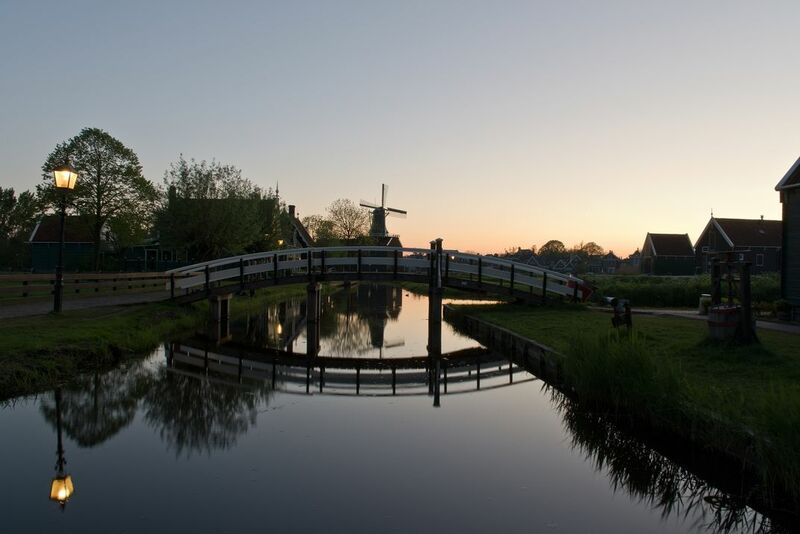 The image shows the village Zaanse Schans in The Netherlands at dusk. Going around in Zaanse Schans with its wooden houses, bridges, and windmills feels like walking in the past. This village is just timeless. Date Uploaded: Oct. 29, 2018, 11:39 a.m.